Fresh whole food berries and more bursting with flavor. The perfect blend of mouthwatering red berries and vegetables come together to create this heart-healthy combination. 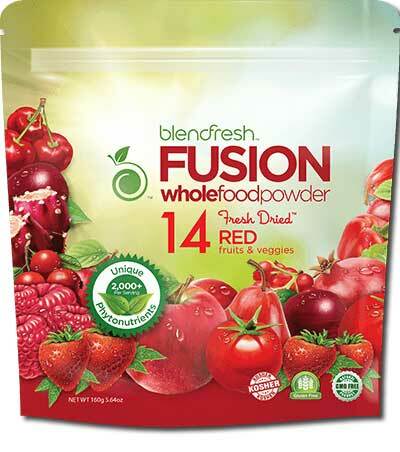 Made from 100% raw, GMO-free produce without pesticides, preservatives, or additives, Blendfresh Red puts the nutritional potency of 12+ Fresh-Dried whole foods together in one. 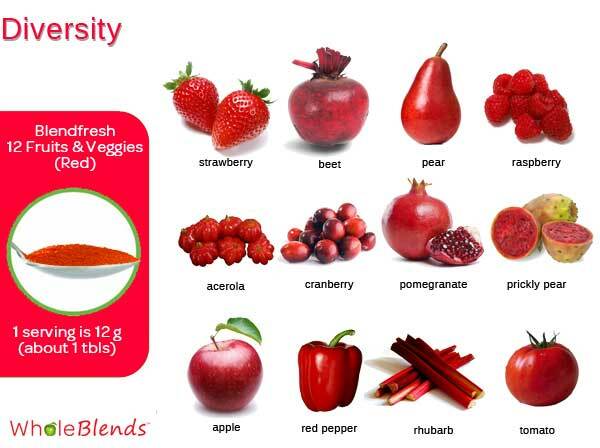 Enjoy the immune boosting benefits of lycopene, kaempferol, catechins, flavonoid glycosides, tiliroside, and ellagatannins. Delicious and nutritious diversity. 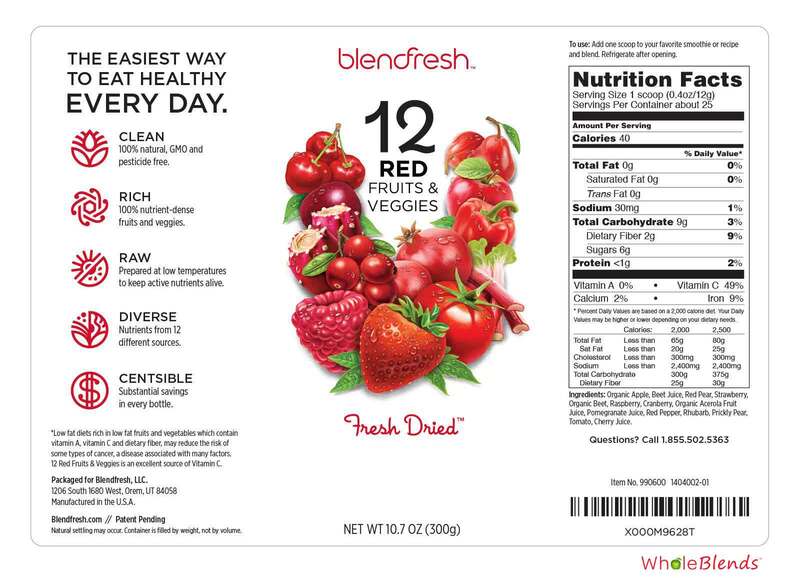 Enjoy the power and diversity of beet, strawberry, pear, raspberry, acerola, cranberry, pomegranate, prickly pear, red pepper, rhubarb, tomato, and apple together in one serving.